Our mission is simple…Technology for Everyone! TabletTable is a simple platform that helps people to use their tablet for work, therapy, education or PLAY! Want to know our secret? Working with our partner Attainment Company we’ve once again redesigned TabletTable and in the process we’ve built two new products! 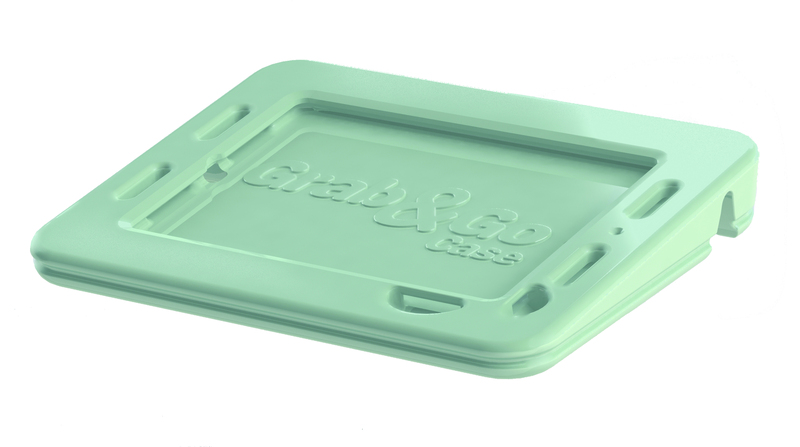 First is the “Grab & Go”, it’s a soft sided case that can be used on its own to protect your iPad. It fits into the TabletTable platform to increase security & portability of your device in addition to doing all of the things below. 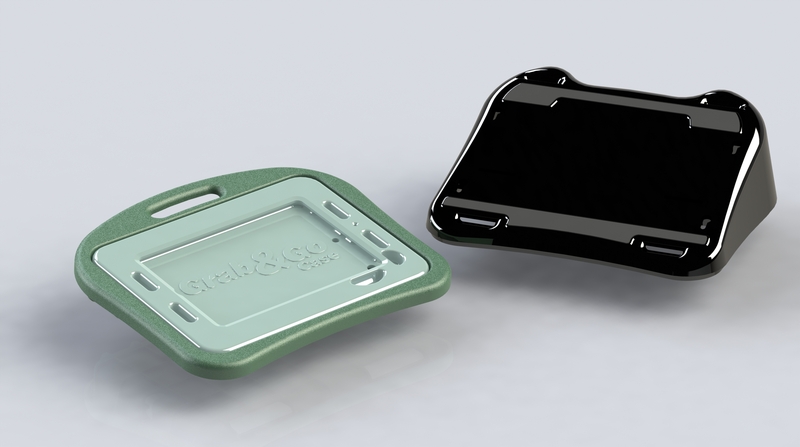 The second product is still a bit of a secret…but here’s a hint; it’s a new application of an age-old therapy tool. Were really excited about it, promise to tell you all about it soon. The Grab & Go is built on an angle, positioning the device so it’s easier to see and promotes better posture. 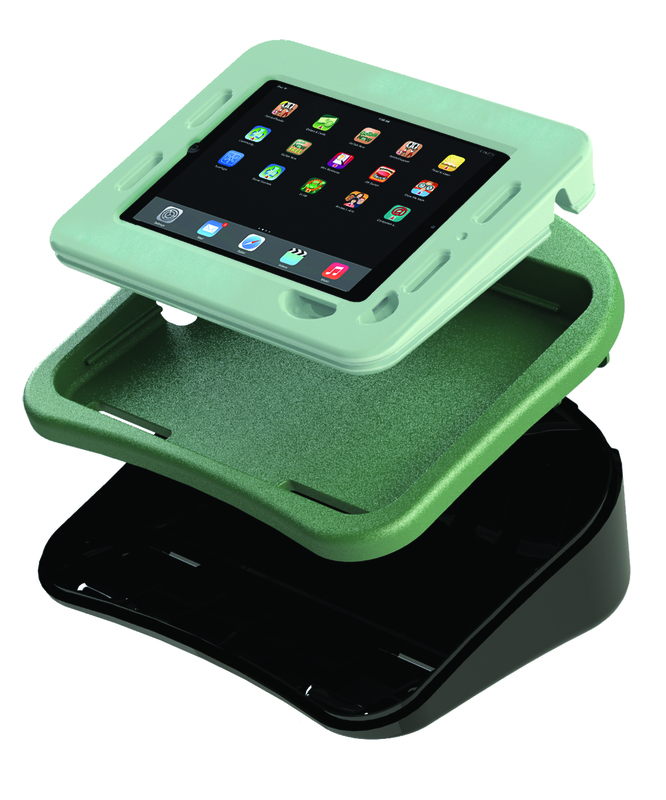 Because it’s made from a softer material it grips to most surfaces, keeping your iPad secure while providing access to buttons, speakers, headphones and camera. TabletTable puts your device at the perfect angle, no more propping your tablet up with magazines. We put the handle, charger access and logo in the back of the TabletTable; away from the user so they’re not distracted…yet easily accessible to a therapist, teacher or parent. The bottom of TabletTable adds storage for chargers, cables, headphones, snacks or secret treasure. It also has oversized pressure-sensitive grips as well as mounting options for screws, posts or straps to keep it secure on a wheelchair, desk or tray. Want to buy a TabletTable? Click http://tablettable.wpengine.com/shop/ to get yours today. Use the Coupon Code “CONLAN” to get $20 off your order. We received ours and love it!!! I was always trying to find something to prop my sons tablet up. Thank you, thank you, thank you!!!! Does not work with the IPad Pro 12.9. I have tried to contact the company, but have been unable to get ahold of anyone. Brett, we spoke with someone named Sarah via Facebook with the same issue…assuming you two are related? The last message we left her was “Yikes, what can we do to make this right for you”? Let me know and we will fix you up.